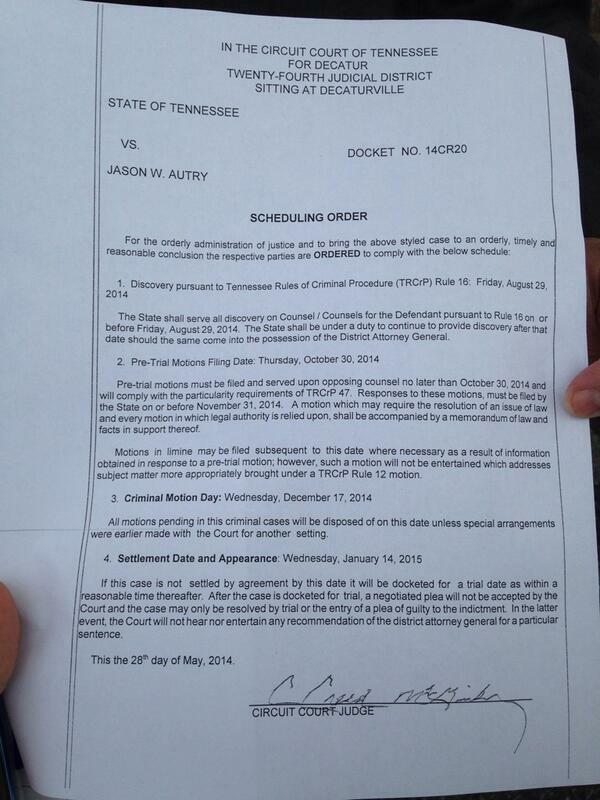 Jason Autry just walked into the courthouse, dropped a note to media which police promptly took away. Court starts at 1. My hubby's attorney nephew from Portland claims there is something very wrong with this picture regarding Jason Autry being denied contact with his attorney. DECATUR COUNTY, Tenn. – One of the two men charged in the murder and kidnapping of Holly Bobo has been scheduled to be in court Wednesday afternoon. Jason Autry’s attorneys have filed several motions in connection with the case, including one that claims Riverbend Maximum Security Prison is hindering Autry's right to a legal defense. Fletcher Long complained that Riverbend has not allowed him face-to-face, private meetings with Autry, who is in segregation. Another issue that could be addressed is a gag order that prosecutors are seeking in the case. Prosecutors filed the motion Tuesday in response to a NewsChannel 5 exclusive interview with Autry. The state objected to the broad content of that interview and claimed the comments made by Autry and his attorney, Fletcher Long, could intentionally or unintentionally pose a substantial likelihood of prejudicing a fair trial because of the publicity. Attorney General Beth Boswell claimed Long inappropriately allowed NewChannel 5 to interview his client while he was being held in segregation at Riverbend Maximum Security Prison. Inmates in segregation are not allowed to do interviews in the prison. Our interview was conducted by way of video conferencing. The NewsChannel 5 crew was not at the prison. Fletcher Long said he did nothing wrong. He said it's his decision how best to defend his client, and if an interview with him in the prison was prohibited he sought other options – either by telephone or, in this case, by video conferencing. The court hearing is set to start at 1 p.m. Wednesday in Decatur County. Autry and Zachary Adams have been charged with aggravated kidnapping and murder in connection with Holly Bobo’s death. Autry said in his exclusive interview that he was innocent and had no involvement in Bobo’s kidnapping or death. My hubby's attorney nephew also contends that for some reason the prosecutor attempted to revoke the immunity agreement with the bypassing of the legal process. On Tuesday, another hearing was held in chancery court to discuss a dispute over an immunity agreement for Shayne Austin, another man said to be involved in the case. Decatur County Chancery Court Judge Carma D. McGee decided Tuesday that only a criminal court can decide whether prosecutors can revoke an immunity agreement reached with Austin. A March 6 agreement granted Austin immunity from various charges, including "all charges arising out of the disposal, destruction, burial, and/or concealment of Holly Bobo's deceased body." Prosecutors later revoked the agreement, saying Austin wasn't truthful with them. Austin's lawyer then sued in chancery court for breach of contract. DECATUR COUNTY, Tenn. – A Decatur County judge has declined to issue a gag order in the case against one of the two men charged in the murder and kidnapping of Holly Bobo. Circuit Court Judge Charles Creed McGinley said Wednesday he would not be issuing the order "at this time" in the case of 39-year-old Jason Autry. A gag order would bar those involved in the case from speaking publicly about it. McGinley said he has not granted a gag order in 26 years as a judge. However, the judge also advised the defendant to "exercise his right to remain silent." The request was filed by prosecutors after Autry gave an exclusive interview to NewsChannel 5 from jail. McGinley advised everyone involved in the case to "try the case in the court and not in the media." The state objected to the broad content of our interview and claimed the comments made by Autry and his attorney, Fletcher Long, could intentionally or unintentionally pose a substantial likelihood of prejudicing a fair trial because of the publicity. Judge explains that Autry has the right to speak to his attorney in confidence. Judge advises Autry to 'mantain' his right to silence. Judge asks all parties to carefully guard conduct to media. Investigators said a key witness -- thought to be Zach Adams' younger brother Dylan -- reported seeing Bobo alive in Zach's home after she disappeared and that she was there with Zach and Autry. Autry said Dylan, who is in jail on gun charges, lied to investigators. "He's been lying his way all this time. You know he got himself in a little trouble and he's down there in Obion County and he don't want to do his time and he's making stuff up to get out of it," Autry stated. Autry said Dylan can't stand his brother. "They hate each other's guts and that's a way to get back at him," added Autry, who said he and Zach are friends. "Me and Zach go back several years you know. On and off," said Autry. "He'd come around. Me and him smoked, drank a little bit, did some dope and hung out together. Zach didn't have a whole lot of friends." Autrey conceded he and Zach had several run-ins with the law over the years. And, Autry said while he was serving time on one arrest in 2012 TBI agents paid him the first of many visits to press him on the Bobo case. "It was a try to be a forced move to get me to be a false witness against Zach Adams," said Autry. But Autry said he told the TBI he knew nothing -- no link between Adams and Bobo. If he did, Autry insisted he would have taken the TBI up on their offer of reduced jail time and the reward money. "I would have taken five years and $280,000 for my freedom. If I knew, I would tell them," Autry concluded. "I don't think they have any idea who committed a crime or that a crime was committed at all," said Autry's attorney Fletcher Long. Long wonders if the TBI has anything other than an informant's word as evidence against his client. No body has been recovered in the Bobo case. "Jason Autry has been in trouble with the law before," said his attorney Fletcher Long. But he said there is nothing to link Autry to Bobo's disappearance, much less murder. The TBI has looked, but has yet to find a body. "You can prosecute without a body, but you better have some pretty convincing circumstantial evidence on death and I don't think they have that here," said Long. Even if the TBI does have some physical evidence -- perhaps bone fragments or clothing -- it may not matter for Autry. Long dropped this bombshell: "We may have a strong alibi defense." Long has indicated that Autry will be able to prove he was far away -- in another county -- when the TBI issued the alert for Holly Bobo. The TBI has declined to comment on what Autry has said about the investigation. Prosecutors are aware of the law. 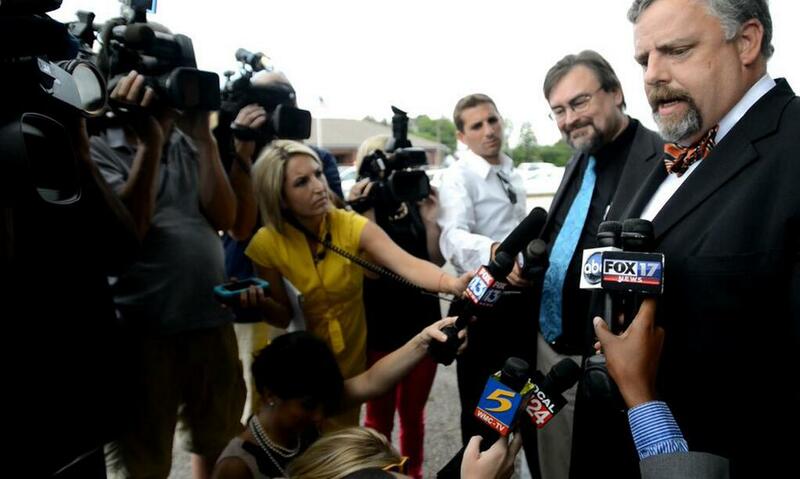 Why was Jason Autry denied the right to legal representation? Karen Bobo, mother of #hollybobo, wants to bring the focus back to her daughter. #HollyBobo wasn't even mentioned in court today. DECATURVILLE — Judge Charles Creed McGinley ruled today that there will be no gag order in the cases involving two men charged with the first-degree murder and aggravated kidnapping of Decatur County woman Holly Bobo. State prosecutors made a motion requesting the gag order on Tuesday. 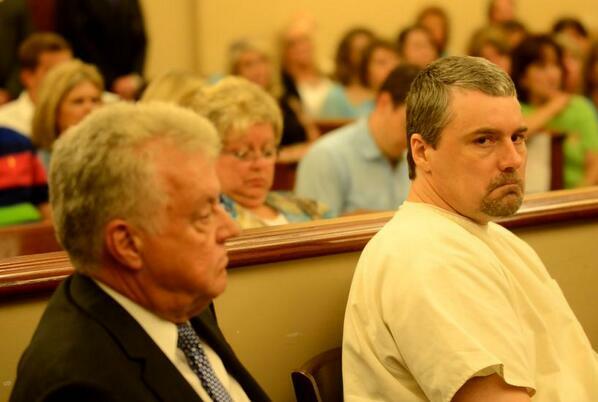 McGinley announced his decision today during a status update hearing for defendant Jason Autry, who faces the murder and kidnapping charges along with Holladay resident Zachary Rye Adams. McGinley acknowledged the state’s motion for a gag order and said that he will not grant one at this time. Assistant District Attorney General Beth Hall argued that Jason Autry’s interview with a Nashville television station and his effort to pass a note to news reporters standing outside the courtroom before today’s hearing were examples of how Autry’s efforts to contact the media could unfairly influence the outcome of a trial. McGinley said that it would be a rare decision for him to issue such a gag order. During Autry’s last court appearance, McGinley asked whether Autry had obtained an attorney. Autry said he might need two months. McGinley said that shortly afterward a motion was filed notifying the court that Autry had obtained John Herbison, of Clarksville, Fletcher Long, of Clarksville, and Mike Flanagan, of Nashville, as his counsel. McGinley repeated again in court today that he intended to keep the proceedings involving Autry and Adams moving as quickly as possible while maintaining fairness to both sides. Judge said he is NOT granting gag order at this time. Not saying he will later. Judge says they're giving TBI 90 days to get evidence in order to lawyers; understands DNA evidence has been causing difficulty.